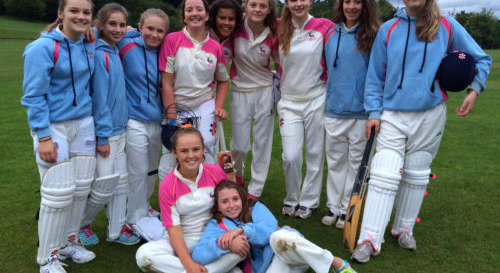 Maidenhead & Bray Girls played Henley Girls in the last match of the Berkshire U15 Girls league last Wednesday. It ended up being a ‘final’, with the winners of the match becoming the overall Berkshire County Champions. The match was played over 18 overs per side, with Henley winning the toss and electing to bat first. 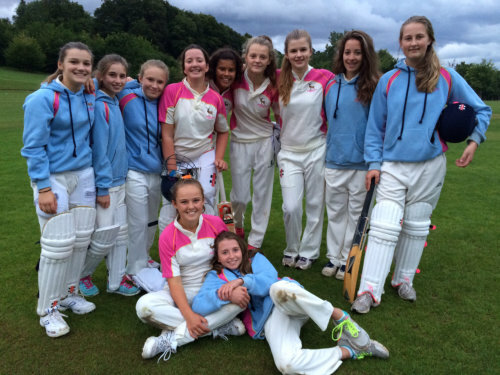 Accurate bowling from the Maidenhead & Bray Girls saw Henley struggle to score freely and wickets fell regularly. The bowling was supported by all round excellent fielding and Henley were restricted to 68-6. The pick of the bowlers was Katy Brewster, with 3-8 off her 4 overs. Maidenhead & Bray had a disastrous start with Poppy James being LBW to the very first ball. The rain then came and interrupted play and it was getting very dark when Maidenhead & Bray resumed their innings. Despite the fall of some more wickets, sensible batting and an excellent, mature knock of 28 not out by opener Adele Thomas, saw Maidenhead & Bray through to their target, scoring 72-5, with 25 balls to spare, thus winning by 5 wickets.